2LONG-STUDIO is a slim, long LED panel with on-board and DMX control over colour temperature, dimming, green/magenta correction and beam focusing. Made of two articulated strips 2LONG-STUDIO instantly adjust the light beam from 30º to 40º. 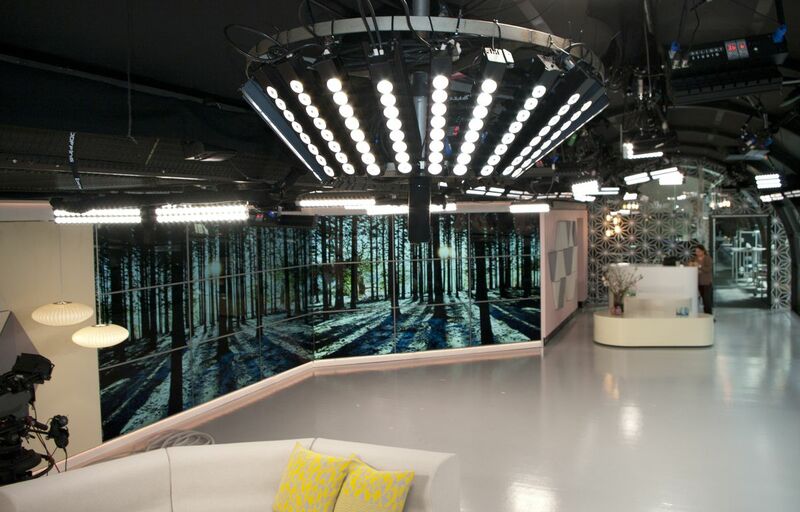 THELIGHT-STUDIO is a hole range of high-power LED panels from 40W to 200W combining the versatility of THELIGHT system with the faster installation and full light control on market today. Its narrow profile and power have been designed to light limited spaces, low ceiling studios, backgrounds or to be used as fill or backlight. Wide and portable delivers a terrific punch up to 6 meters / 20 feet while drawing only 73W. Do not doubt between tungsten or daylight, flood or spot, softlight or Fresnel just take THELIGHT-STUDIO to have everything in a single fixture. 100% aluminium made in Barcelona with 96 reliable Phillips high-power LED for maintenance free use along more than 50.000 hours. With 2LONG-STUDIO there is no need to use correction gels due to the digital variation of colour temperature, dimmer and green/magenta correction. The articulated structure enables instantly focusing or flooding the beam while the broad source surface equipped with specially designed Fresnel lenses delivers a soft but fully directional light. THELIGHT-STUDIO all-in-one fixtures are compatible with any kind of light source and their built-in and DMX digital controls lets you adapt on the fly to the changing light conditions or desired light effect. 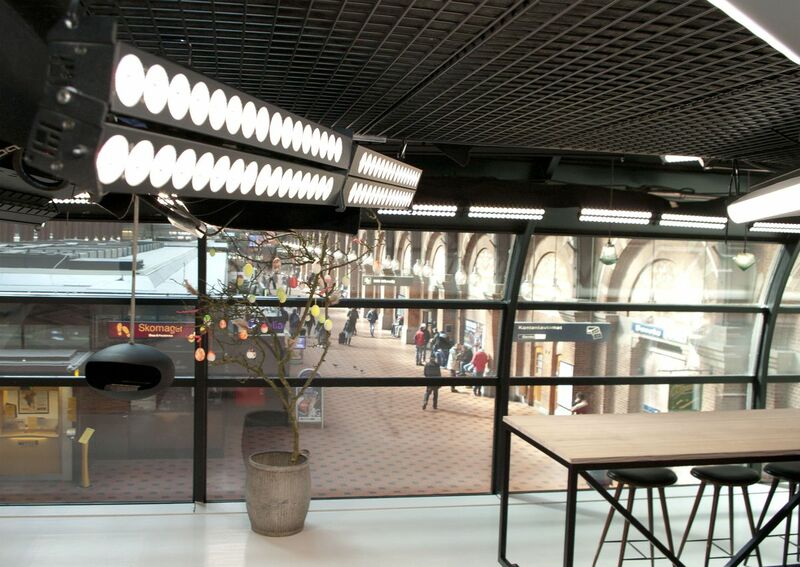 2LONG-STUDIO emits daylight as an HMI, wrapping light as a fluorescent while the solid and compact design make it easier to install and adjust than any other light. 100% Maintenance free: you will never spend on bulbs, gels or funs to replace. THELIGHT proprietary technology provides High CRI and no green deviation light calibrated for HD, film and photo professional cameras to achieve perfect skin tones, vivid colours and real images. THELIGHT is more than a powerful LED light, is a whole new lighting system. The slender yet solid design with its innovative modular system allow quick set up with a wide range of rigging options: swivel ball head rapid mounts for stands, yokes to ceiling grids installations or rigging on location, multipanel yokes of many sizes to mount several panels together and get big LED sources without investing on bulky fixtures. Every THELIGHT-STUDIO product include in&out PowerCon and DMX 512 connectors to daisy chain several fixtures from a unique power outlet. The compactness and lightness of the panels made them perfect for limited spaces, low ceilings, transportation and storage. The lightweight and sturdy aluminium structure together with the electronic protection are built to provide a maintenance free operation under severe using conditions. THELIGHT fixtures clearly drop operation cost with instant ignition and adjustment, flicker-free light, heat and noise free operation with no fans to service. THELIGHT green technology and quality made ensures years of pure white light, minimum power consumption and no bulb or gels change required along more than 50.000 hours life of the Phillips LED, meaning dramatic cost savings in terms of power draw, air conditioning and maintenance. The soft quality of pure white light generated at any colour temperature surrounds the subjects while keeping perfectly directional. 2LONG-STUDIO is more than tungsten and daylight in the same unit: you can adjust colour temperature from 2500K to 6500K with almost no lost in output. The digital adjustment is very precise and absolutely consistent lamp to lamp. Forget about gels or lamps replacement: using the on-board control or through DMX you can adapt on the fly to the changing light conditions or get the desired light effect. Save time and money on adjustments: instantly dim and focus the beam and adjust the green/magenta correction to match any ambient light. There is no need to double the light fixtures with tungsten and daylight units, take any THELIGHT product and you will have it all in single slim and durable aluminium fixture.